Well! Apparently all I need to get knocked out of dragonish cuteness is a change of color! And some red eyes. And a pronounced brow ridge. Whoda thunk! 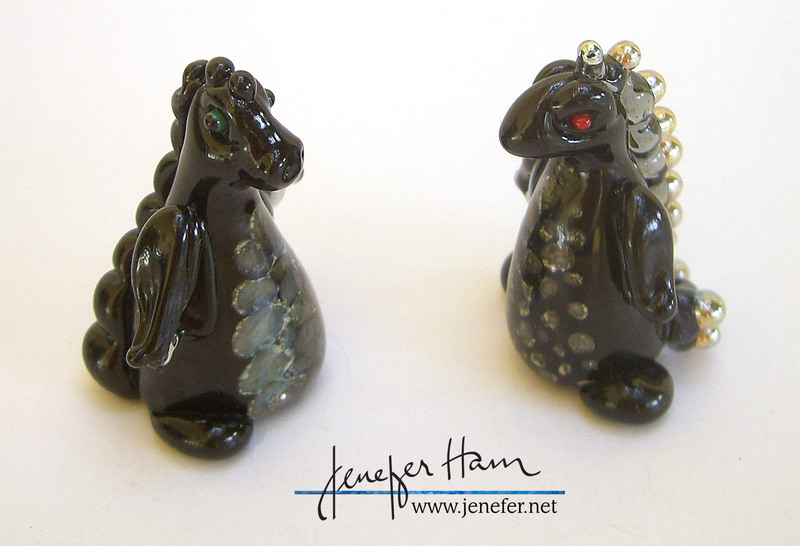 These DRAGONs are from yesterday’s labors and Rahdo said “THAT dragon is not to be trifled with!” when he saw Ms. Red Eyes. They will be guarding our luggage as we fly to Essen, woe betide the man who falls foul of Ms. Red Eyes!